Sergers and cover-stitch machines are the key to professionally finished garments. Not only will they make the construction easier and faster, they also have superior stitch quality on delicate and stretchy fabrics. No sewing machine at any price will hem a dress or T-shirt like a cover stitch machine will. 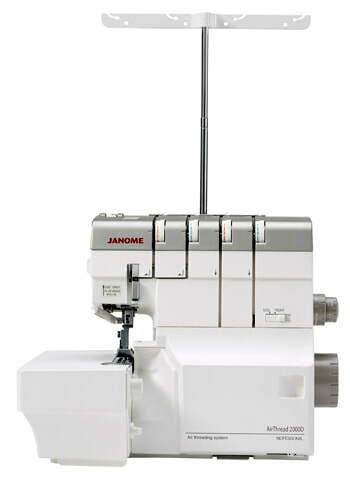 If garment making or alteration is your goal, a Janome serger and cover-stitch machine will make the job easier and more professional.